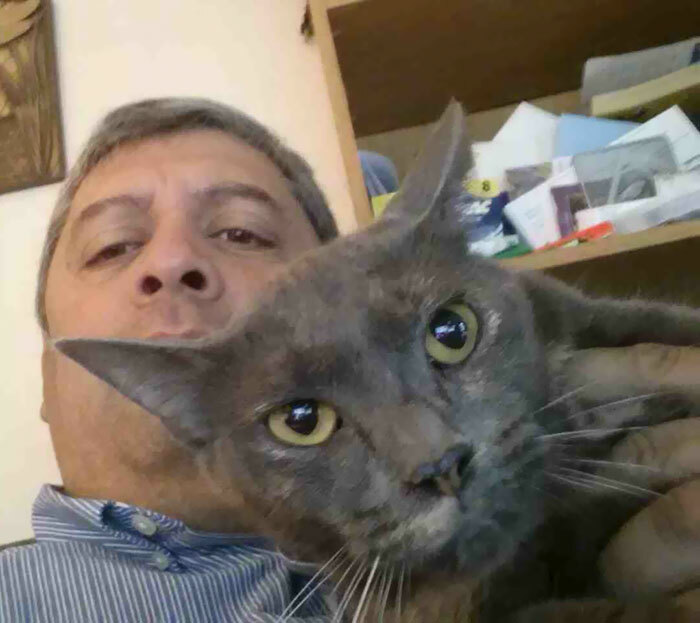 Many people claim they are not cat people. “I prefer dogs,” they proudly say. However, put a cute kitten in front of them and you’ll find that they quickly change their mind. The truth is that deep down, many anti-cat people secretly love the little furballs, they just don’t want to admit it. Cats have a way of working their way into your life and making you love them, even if you don’t want to. They are crafty like that. Don’t just take our word for it though. 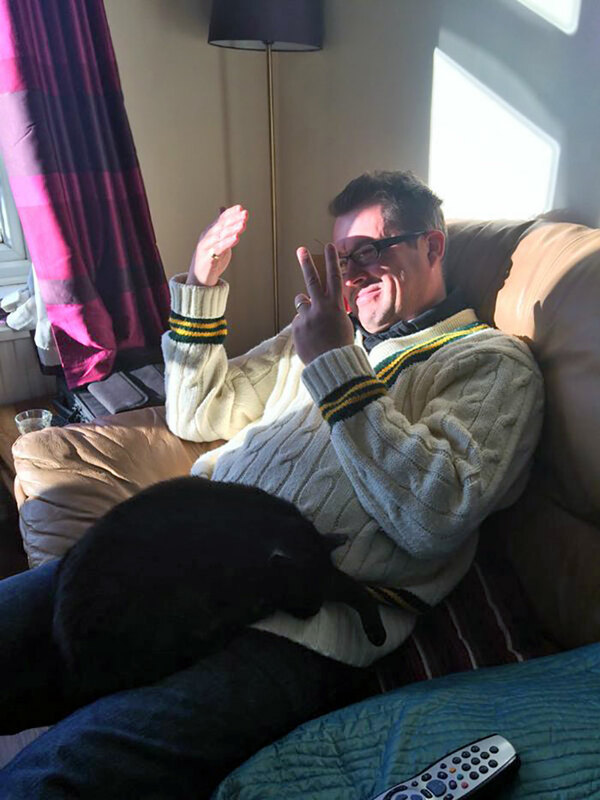 Check out the following hilarious pictures of 55 former cat haters who have since been converted. 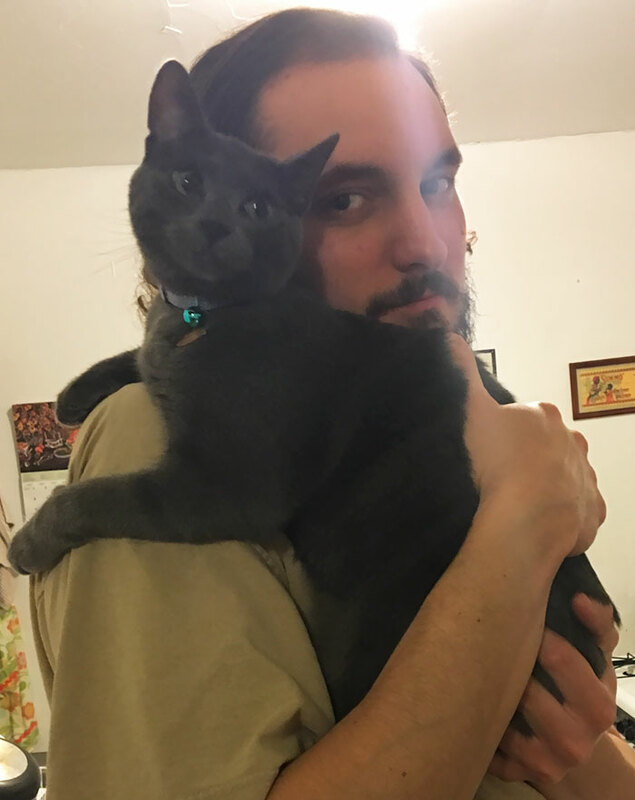 These 55 people all said they didn’t want any dang cats in their life, but the pictures don’t lie — they might not have wanted a cat, but a cat is what they needed. Cat person or dog person, it doesn’t matter. When you bring a kitten as cute as this one into the home, it’s hard to resist loving them. Look how quickly these two have bonded! 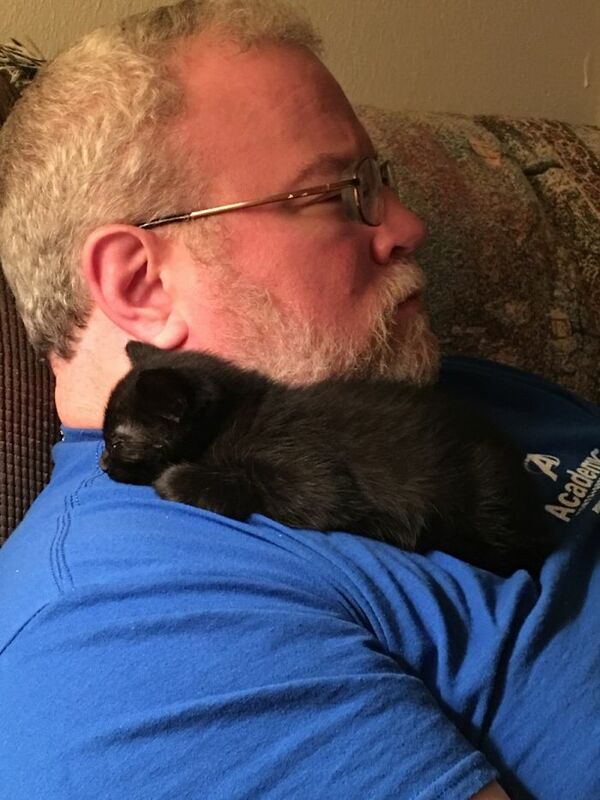 You might not want to hold the kitten, but the kitten wants to hold you… or at least use you as a comfortable bed to sleep on. These two started off as enemies, but a few months later, another photo was posted that confirmed they are getting along just fine. While Chelsea’s dad was originally against the idea of a cat, look at him now! 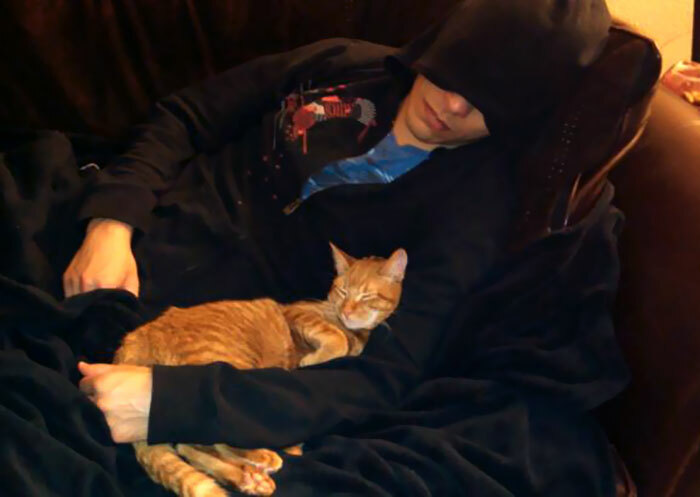 He and the cat are snuggling together on the couch. Cats always find a way to make you love them. Sometimes withholding your love only makes the other person desire it more. Such is the case with this man and the family cat. He does his best to ignore the cat, which only makes the cat try even harder to get his attention. That’s right, go ahead and put on a front that you don’t like cats! However, eventually, your true love of them will be revealed. 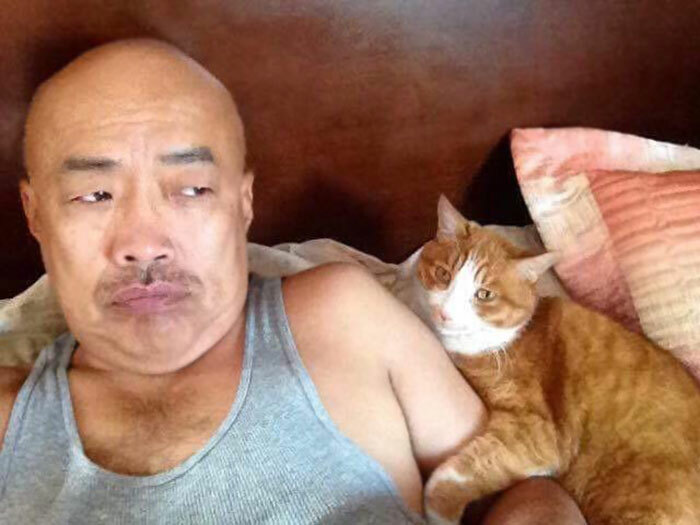 Once you start taking cat selfies, there is no hiding it anymore. When dad goes to work in the garage, you never know what he is up to. Turns out, this time, he was working on a project for the feline residents of the house. 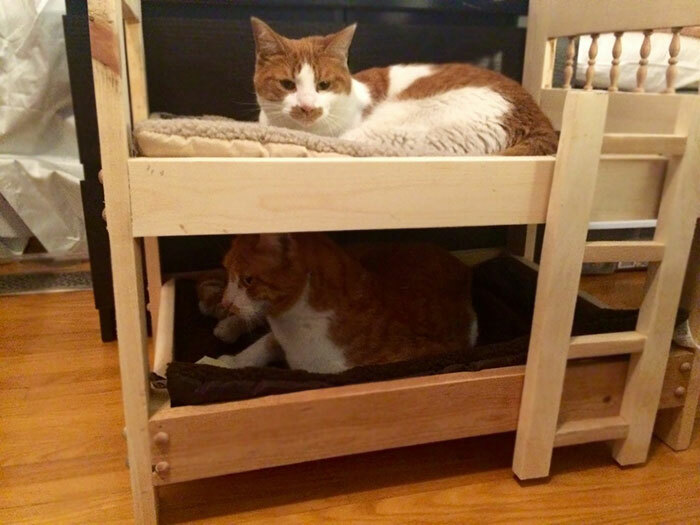 We have to say, there is nothing cuter than cats enjoying miniature cat bunkbeds. 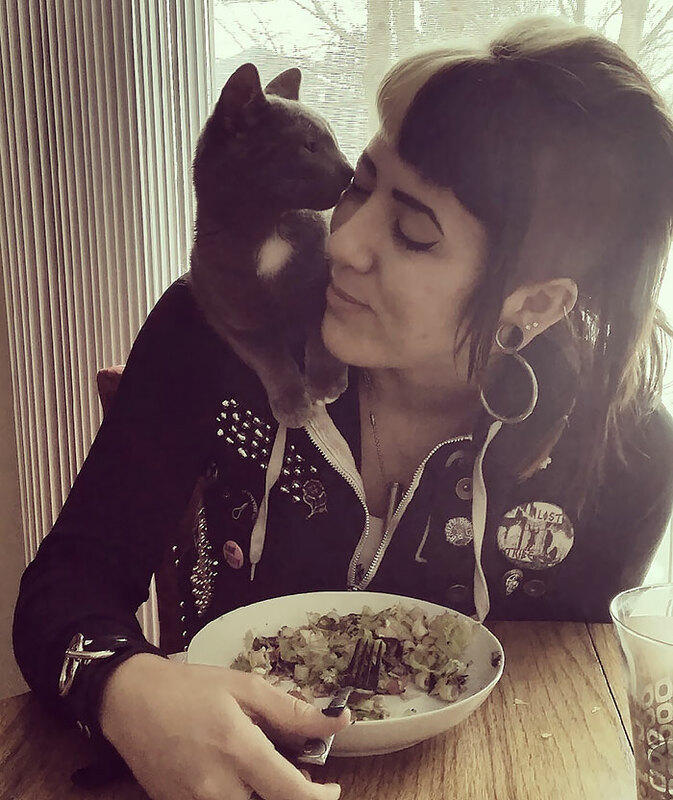 There is nothing like a friendly kitten to make living alone less lonely. 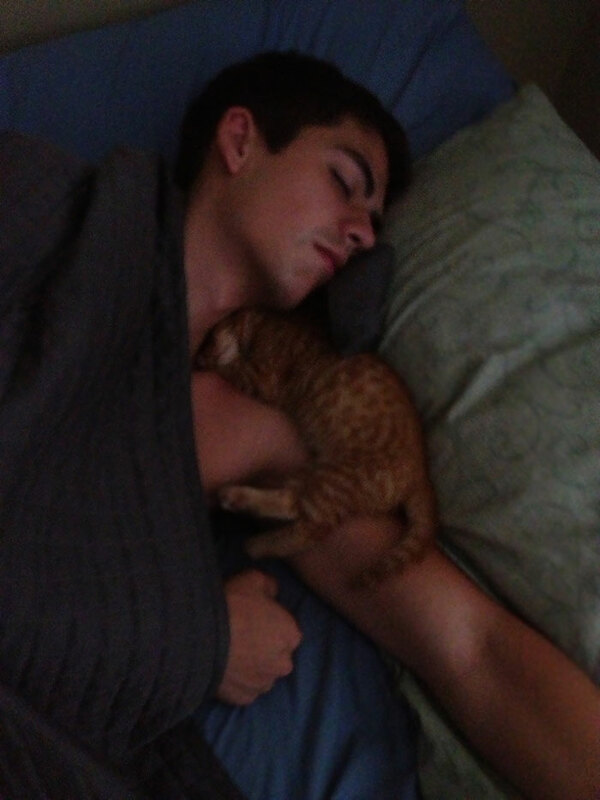 Although he was originally against the idea of having a pet, it looks like the kitten is here to stay. Now they are inseparable. 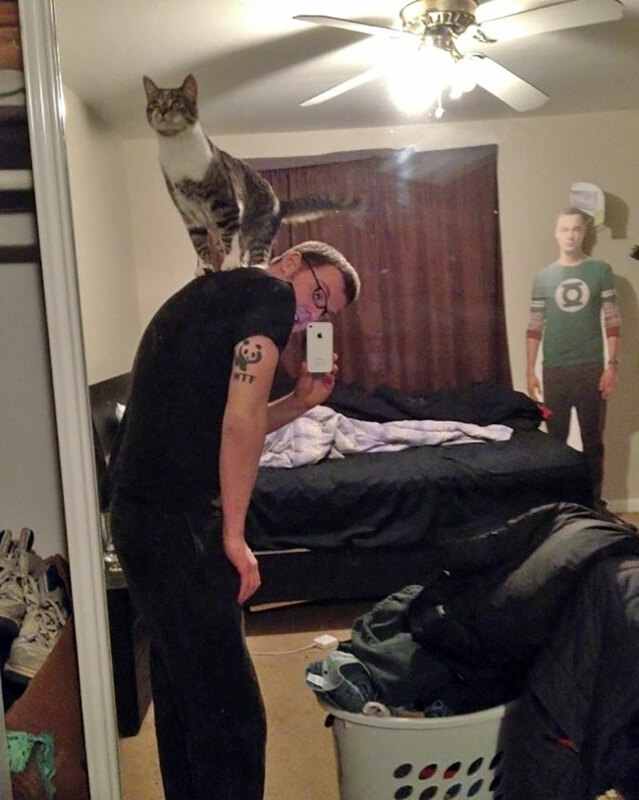 This girl’s boyfriend said he wasn’t a big fan of cats, but the pictures don’t lie. Now he’s a total cat person. It’s funny how quickly our opinions can change. 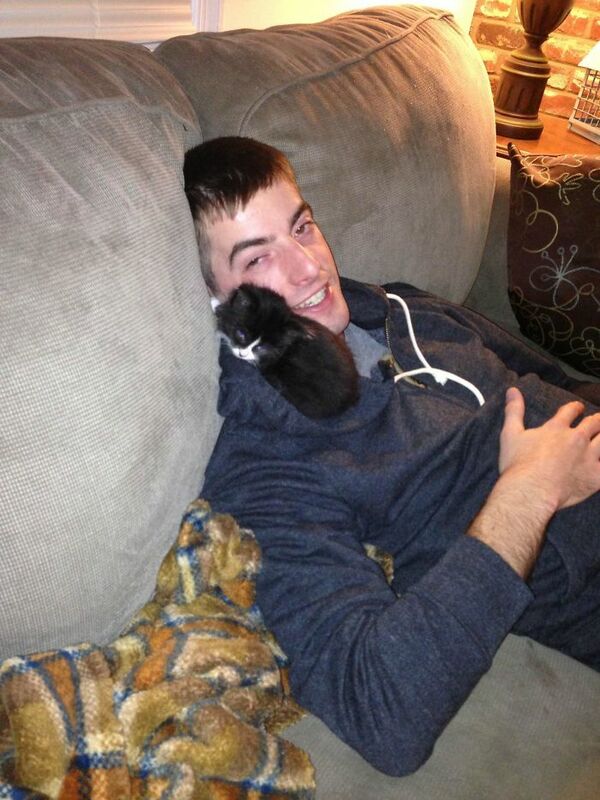 Here we have another boyfriend who claims he doesn’t like cats. However, the girlfriend came home and caught the guy and the cat sleeping together. They look very comfortable. This cat has found the perfect spot to sleep and it’s absolutely adorable. The little furball blends right in with the white shirt. Both of them are super relaxed. 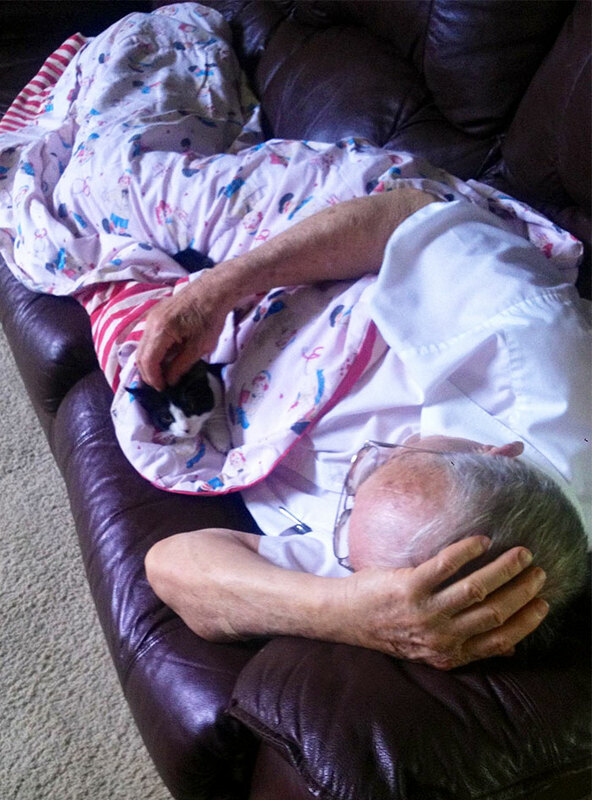 Grandpa didn’t want a cat, but it looks like him and the cat are getting along great now. The food sharing is definitely a sign that they are growing closer. For sure, the cat doesn’t mind. What we say isn’t always what we mean. Luckily, cats don’t really understand words, but more so pay attention to actions. They can always tell when someone loves them. 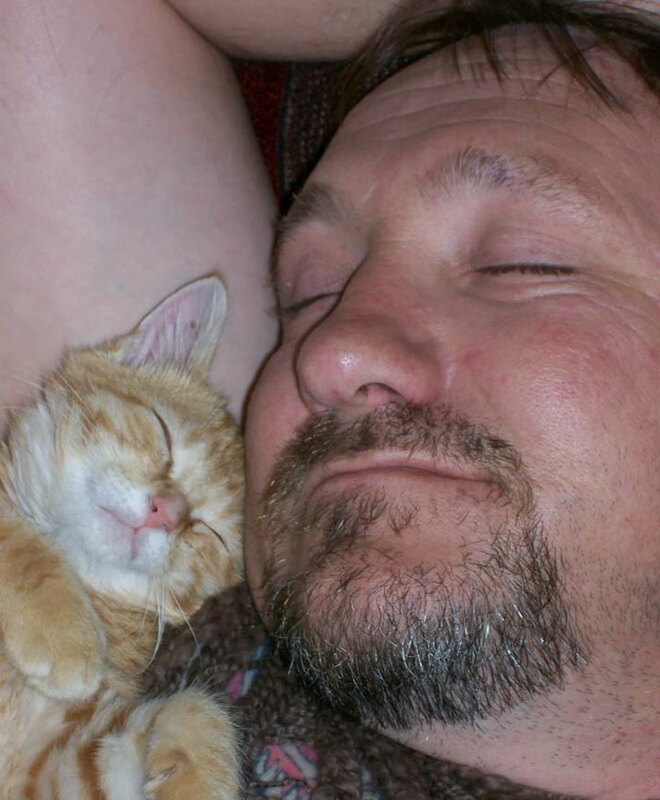 This guy finally has clear photo evidence that his wife is a cat lover. You can’t deny an image like that. Side note: Bengals are definitely one of the coolest cat breeds. 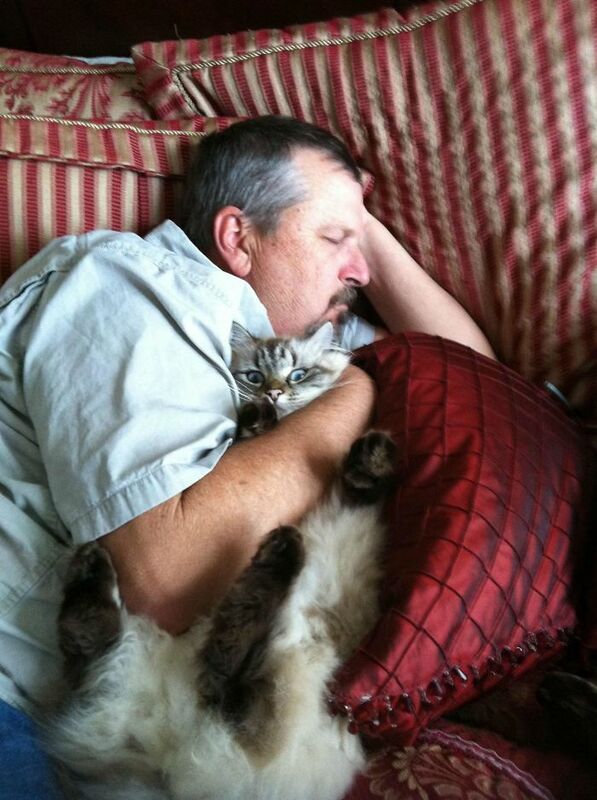 He might say he hates cats, but it sure doesn’t look like it. He even has a slight smirk going. It’s because he knows the cute little kitten is right there snuggled up against him. Hanging out with cats is always a good time. These two know what’s up. The cat has found an awesome place to stand that makes it feel like its on top of the world. We have to agree. 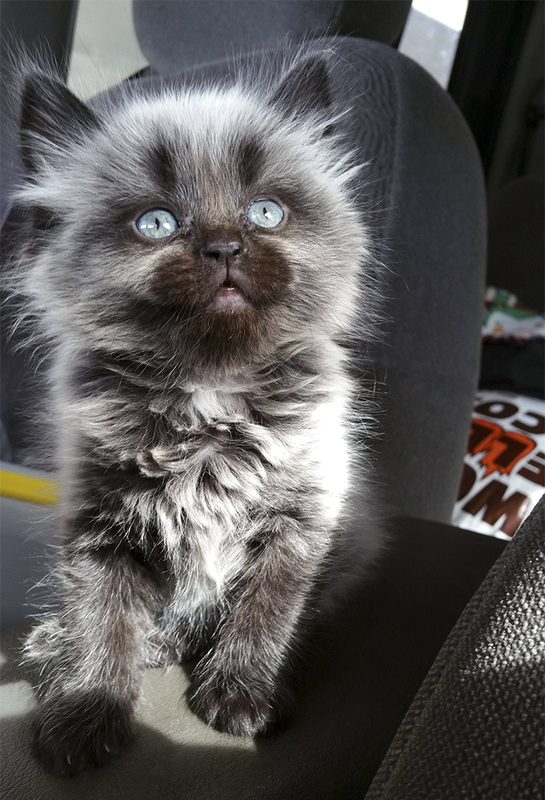 Anyone would make an exception for this kitten. 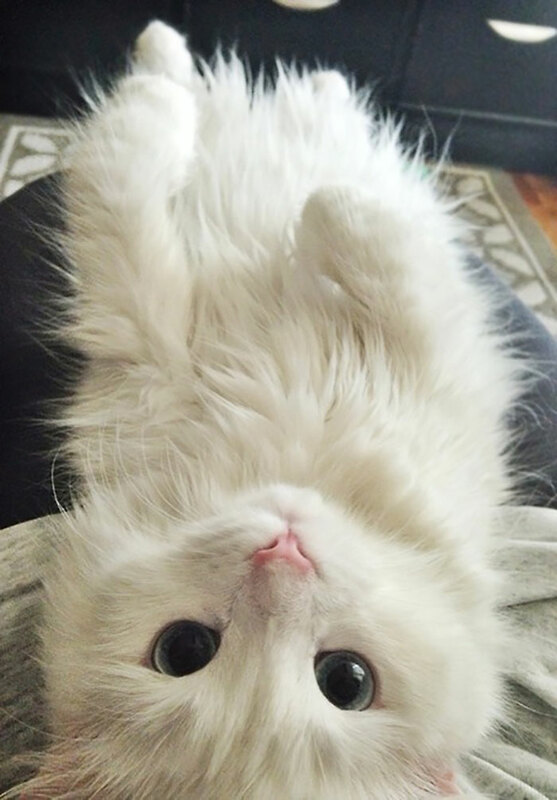 It is just so cute, staring upside-down at the camera with its adorable eyes like that! Sometimes you don’t know you need a cat in your life until you have a cat in your life. That is what happened in this case. 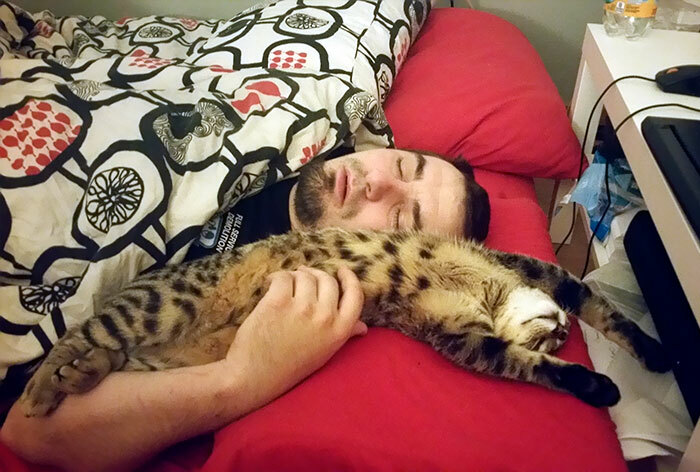 The boyfriend realized a cat was exactly what he needed. 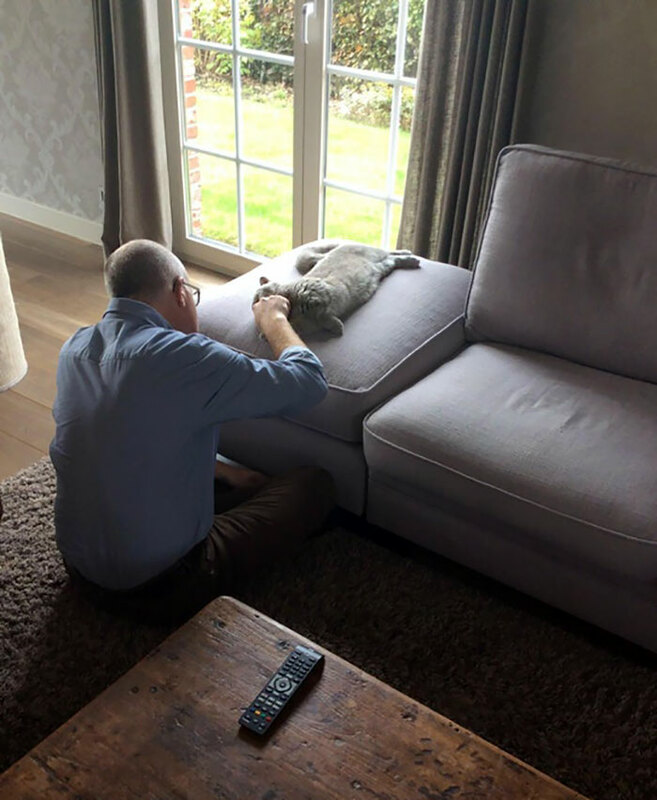 The bond between this dad and cat is unbreakable. Although, it wasn’t always this way. At first, he was totally opposed to the idea of bringing a new pet into the house. 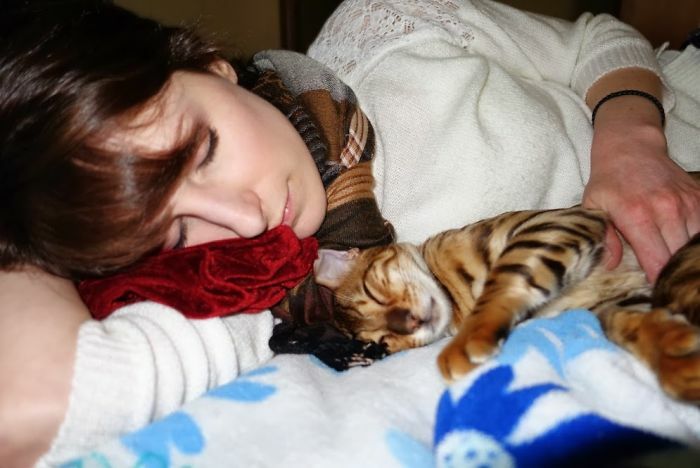 Never disturb a sleeping cat! That is, if you have a heart. Look how comfortable the cat is. We would refuse to get up and shut the curtains too. Yep, she hates him. She hates him so much that they cuddle up together on the couch and watch TV together. They look like the worst of enemies. Cats are good at getting your attention and making you love them. That’s exactly what this social stray did. 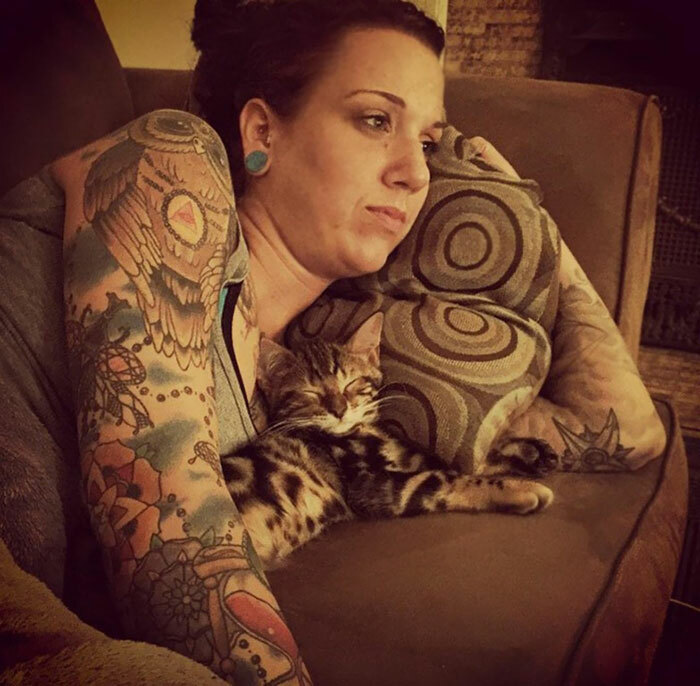 It loved its way into this “not a cat person’s” life. 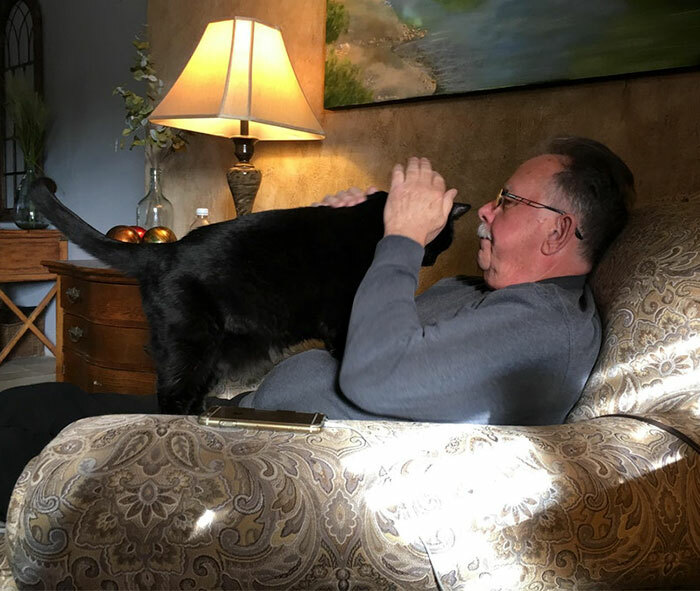 He was a dog person, but then they got a cat. As you know, one cat always turns into two, sometimes even three. Cats are just so much happier when they have friends to chill with. 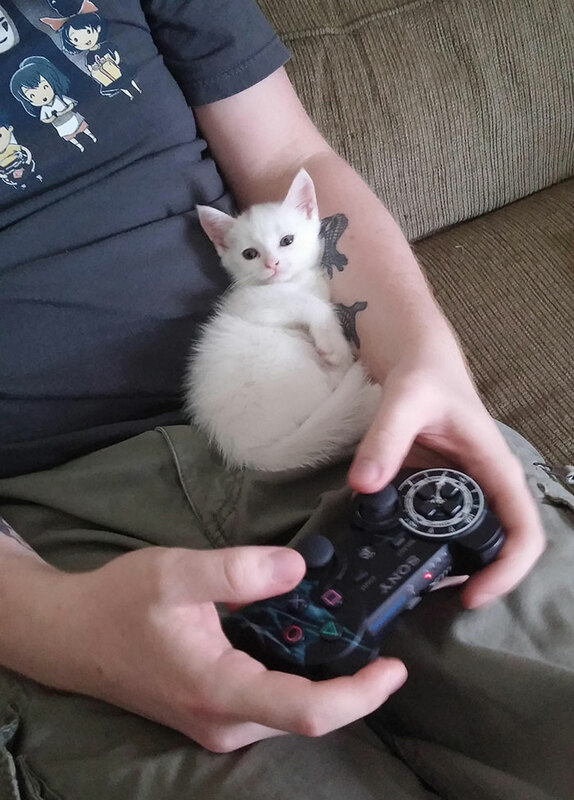 He didn’t want another cat, but then he realized how much fun they could have gaming together and changed his mind. These two make the perfect team. The cat is a great moral support animal. 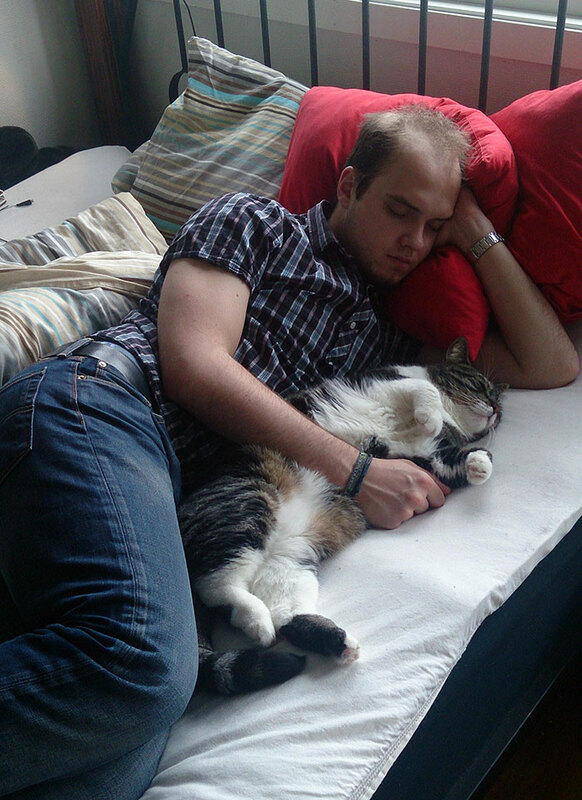 Aww, a man and his cat. There is nothing more beautiful. 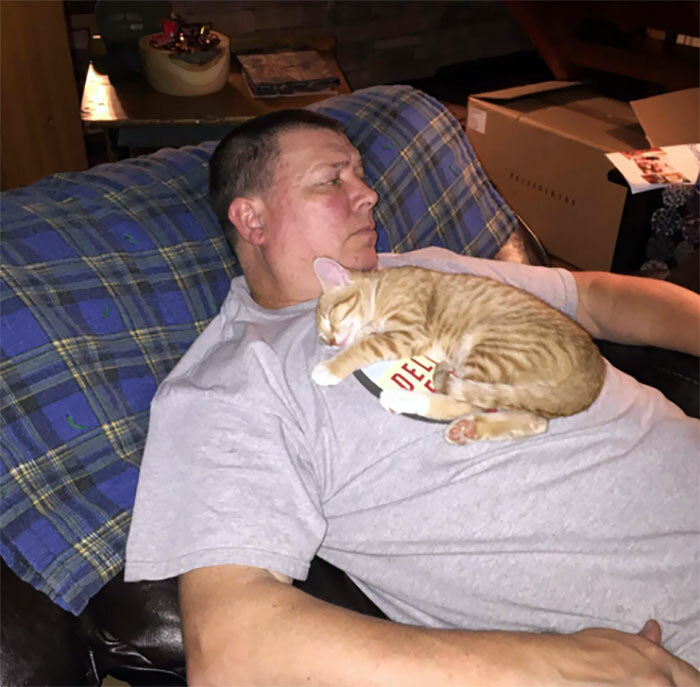 While at first, the dad didn’t want a kitten in the family, the kids got him one anyway and “they’ve been inseparable ever since”. 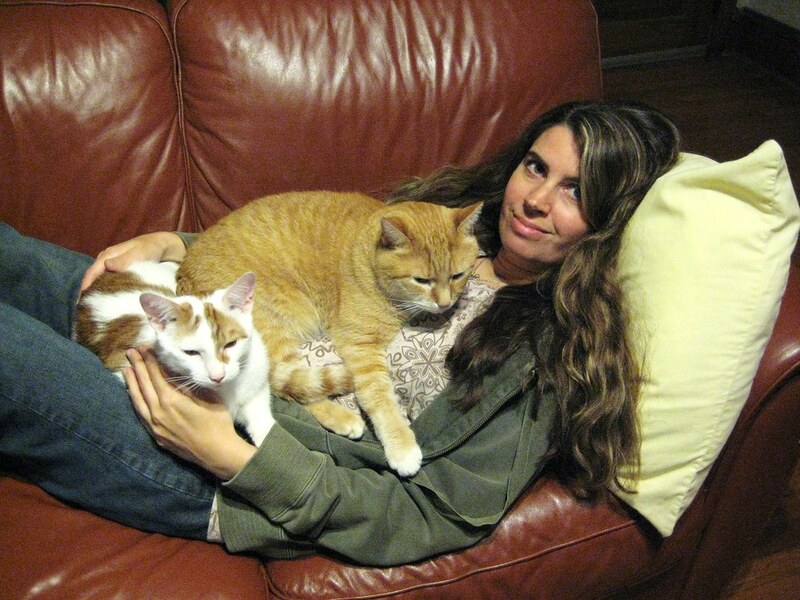 Why do so many self-proclaimed cat haters always seem to change their mind as soon as they are actually around cats. It’s a very common pattern. First, they say they hate them, but before you know it, they are cuddling. 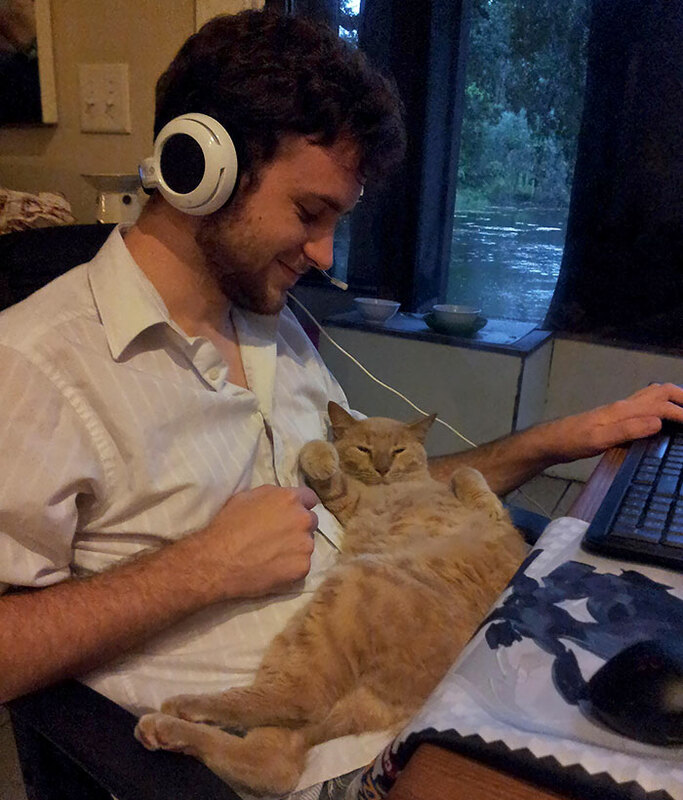 This cat is lounging out on the boyfriend’s lap trying to distract him from his work. The boyfriend doesn’t mind though. He and the cat like each other more than they will ever admit. Notice how it is always the dads who say they dislike cats. Cats just aren’t really considered manly pets. Yet, eventually, they almost always come around. 28. Not A Cat Person But I Just Couldn’t Not Take Her Home. We would take that kitten home too! How could anyone ever resist her? She is stunningly beautiful and those eyes could make even the staunchest of anti-catters fall in love. “No more cats!” he said. However, the grandkids never listen. They got another cat anyway. Grandpa is glad they did. That is one giant furball! 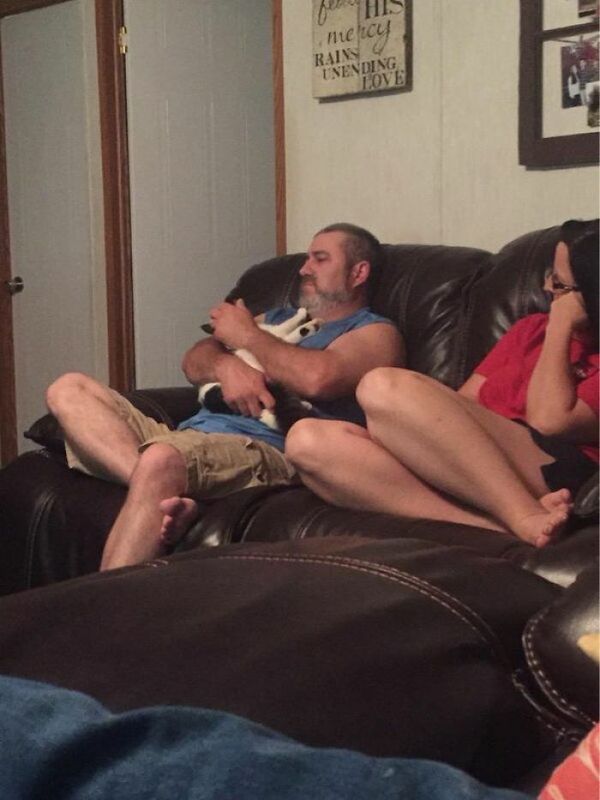 The dad who doesn’t like cats can be seen with his arm wrapped around the feline, and the cat doesn’t know what to do. “I thought he didn’t like me,” the confused cat thinks. That’s always the risk when you get a new kitten. Your significant other may demote you to number two. That’s what happened here. 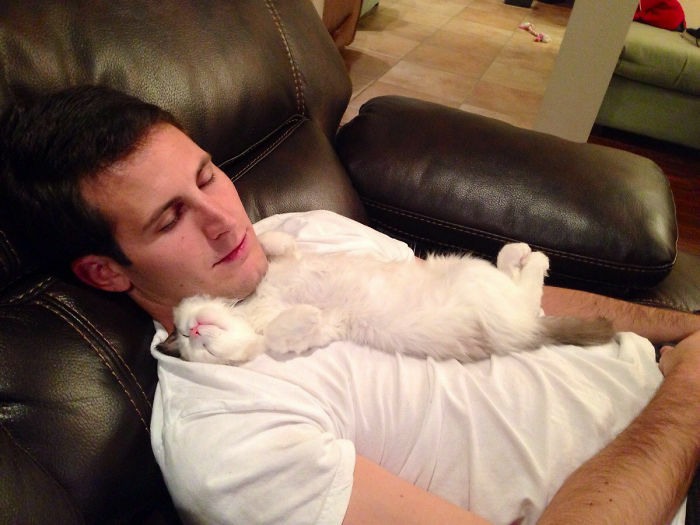 The boyfriend fell head over heels in love with the new princess in the house. These two are quite photogenic together. 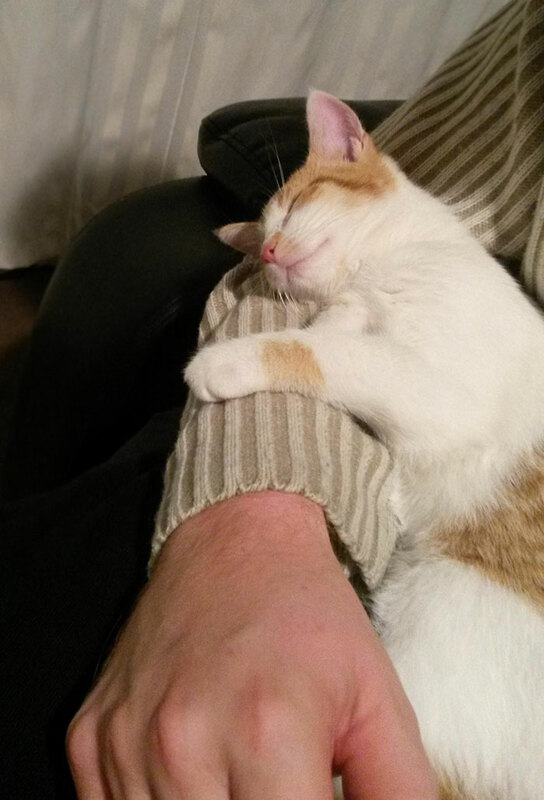 The cat lovingly wraps its little arm around the dad and it is perfect. Or should we say, purrfect. Compromise is always good for a relationship. This husband knows. He gave into his wife in a big way. 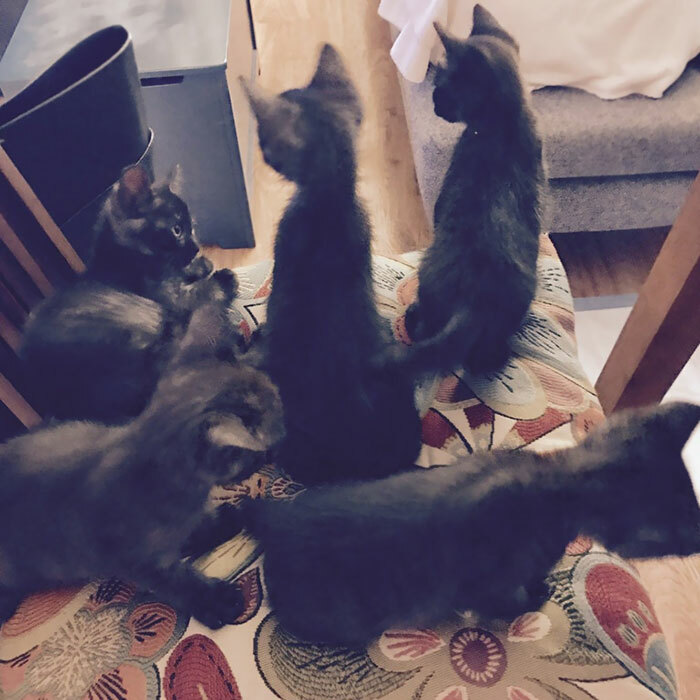 Not only did they adopt one cat, but five! Now they are all one big happy family. 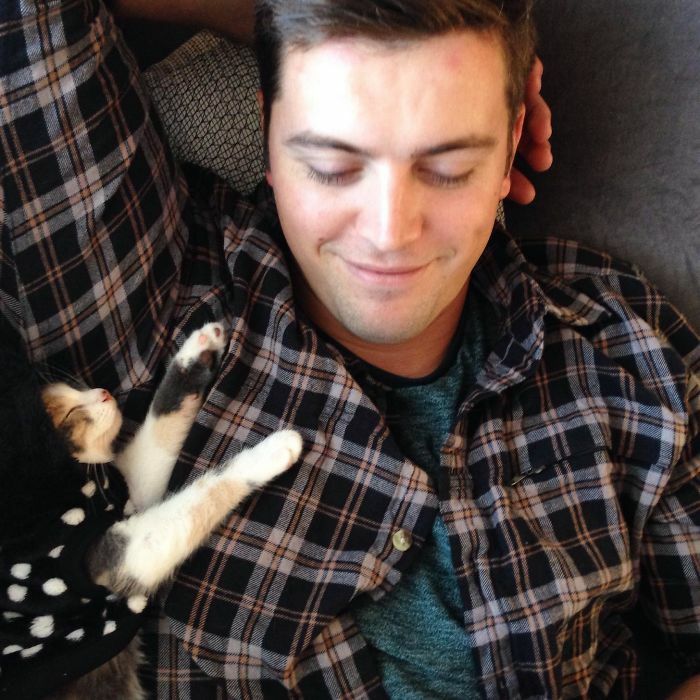 When the kitten met the boyfriend, they became instant friends. 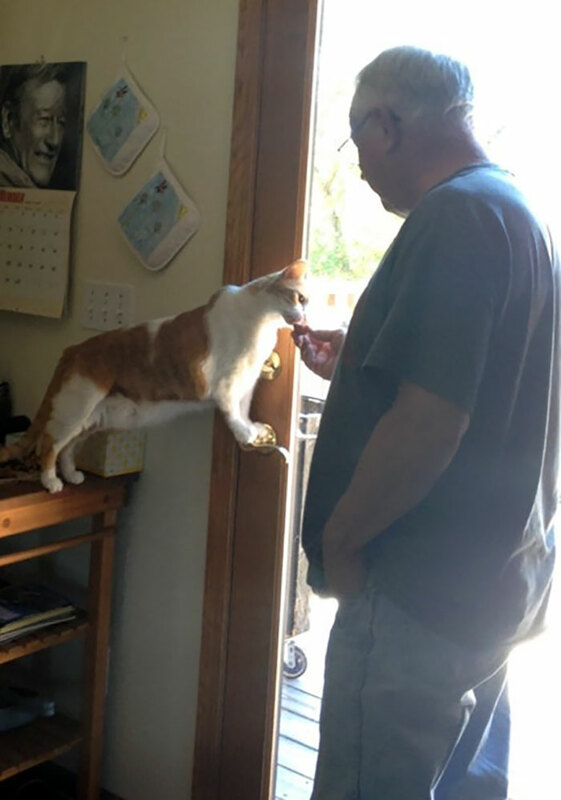 While he originally didn’t want a cat, all it took was five minutes for him to change his mind. He is now officially a cat person. 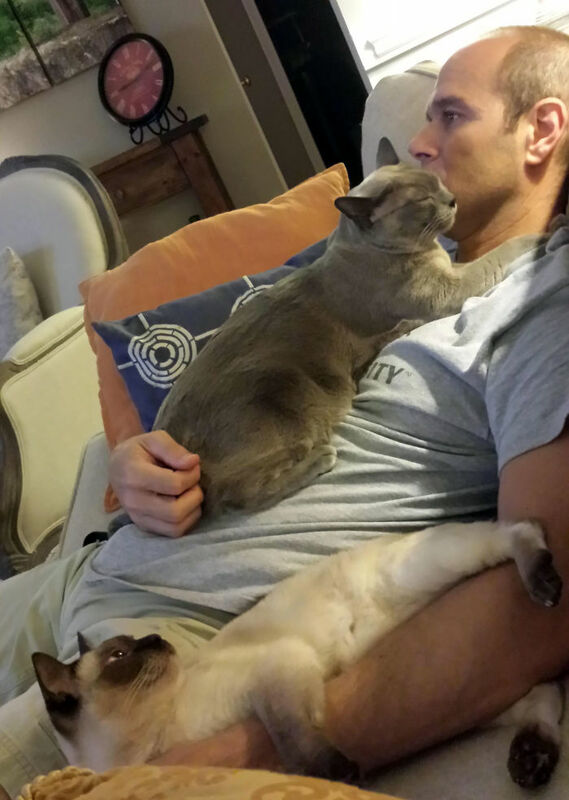 This guy will never admit it, but behind closed doors he is most certainly a cat person. Cats can always tell who doesn’t like them, aka, who to avoid. This guy is not one of those people. It’s always tough when you get a new roomie. Especially when that new roomie is a kitten. These two look like they are getting on okay though. 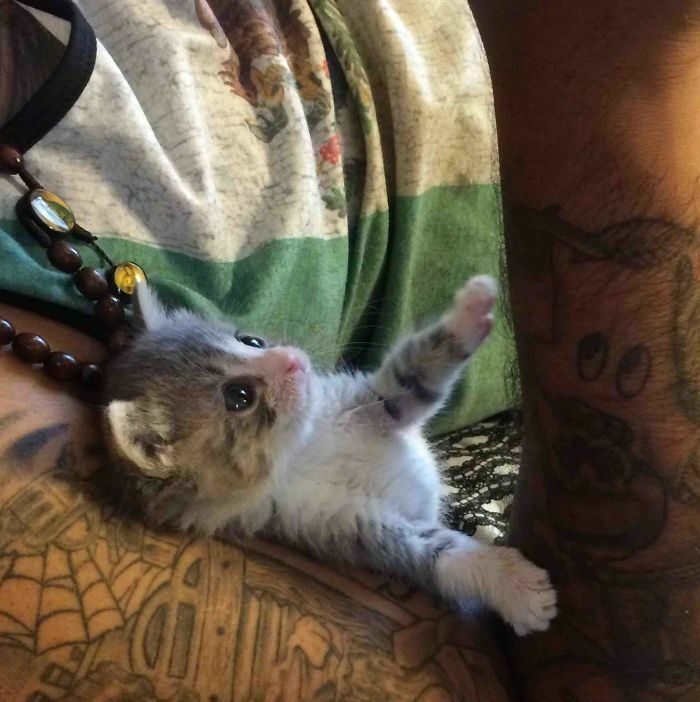 That is one of the tiniest kittens we’ve ever seen. It found the perfect spot to curl up and take a nap, too! Don’t worry, dad. You know you love it!